I. B. Tauris & Company, 9781784537975, 256pp. 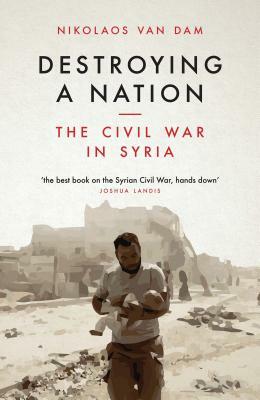 Following the Arab Spring, Syria descended into civil and sectarian conflict. It has since become a fractured warzone that operates as a breeding ground for new terrorist movements, including ISIS, as well as the root cause of the greatest refugee crisis in modern history. In Destroying a Nation: The Civil War in Syria, former Special Envoy of the Netherlands to Syria, Nikolaos van Dam, explains the recent history of Syria: the growing disenchantment with the Asad regime, the chaos of civil war, and the fractures that led to an immense amount of destruction in the refined social fabric of what used to be the Syrian nation. Through an in-depth examination, van Dam traces political developments within the Asad regime and the various opposition groups from the Arab Spring to the present day, and provides a deeper insight into the conflict and the possibilities and obstacles for reaching a political solution. Nikolaos van Dam is a specialist on Syria who served as Special Envoy of the Netherlands for Syria in 2015-2-16. He has previously served as Ambassador of the Netherlands to Indonesia, Germany, Turkey, Egypt and Iraq.